Would you like to receive weekly Top 10 new stories from the MindShare Learning Report? Welcome to the October Cross Canada spotlight on Ontario Education and the Official launch of the MindShare Learning 21st Century Digital Classroom National Video Challenge Special Edition. The Council of Ministers of Education (CMEC) recently concluded the 98th meeting in Winnipeg with some ground breaking news. 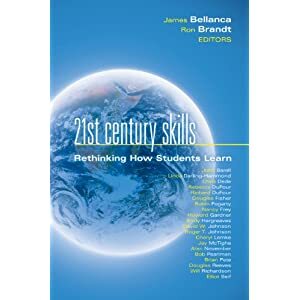 I was pleasantly surprised to learn that the Ministers discussed the global movement to integrate 21st century competencies into public education. Ministers will explore what they could do together to advance the adoption of 21st century learning models in Canada. Kudos again to CMEC for releasing a vitally important report in association with StatsCan recently. CMEC's second report in a series begun in 2009, Education Indicators in Canada: An International Perspective, 2010, expands on the data collected for OECD's flagship publication, Education at a Glance. MindShare Learning was once again on the move on the conference front, attending the Ontario Premier's Building Blocks on Education. We had the good fortune of interviewing world renowned Dr. Michael Fullan on a podcast which I encourage you to tune in. Interesting to note that Arnie Duncan, U.S. Department of Education commented during his keynote that there is much that the U.S. can learn from Ontario. I came away from the conference appreciating the fact that Canada performs very strongly on the world stage. I recently returned from EdNET 2010 in Boston, one of North America's leading business to business EdTech industry conferences that I was fortunate to attend. Speaking of conferences, it's not too late to register for our inaugural MindShare Learning Canadian EdTech Leadership Summit taking place on Tuesday, November 2nd at the York University Research Tower Conference Centre. I'll be teaming up with Dr. Ron Owston from York University to oversee the day's activities as co-facilitators. Dr. Don Knezek, CEO, ISTE is our featured opening keynote. Our Cross Canada Check-up will be facilitated by Dr. Bill Hogarth, President of ERDI Canada and former York Region DSB Director. Other featured keynotes include: Jennifer Corriero, TIG, Kathy Hurley, Chair, 21st Century partnership and Hall Davidson web 2.0 guru. Join fellow education and industry leaders for this one-day unique Summit opportunity to gain valuable knowledge from leading experts, network and re-define Canada's digital blueprint to ensure future leaders succeed in the 21st Century Global Knowledge-based economy. Space is limited! Click here to view the complete agenda and to register. We are elated to be supporting three additional upcoming conferences as media sponsors: B.C. 's Horizons conference, When Faith Meets Pedagogy and the ECOO conferences, both in Ontario. In this issue, Tim Gard, our tech savvy K12 Editor reviews an intriguing eLearning platform that's designed for K12; while Aislinn Malszecki, our youth columnist explores the increasing student debt load. Our question of the month poll results are in-To tweet, or not to tweet? That is the question!, "Do you tweet , or do you plan to use twitter in the coming academic year?" The poll yielded interesting results: 75% of the respondents responded yes vs 25%, who indicated no. Perhaps twitter is not just a fad after all! "Students who learn using leading-edge equipment have the experience necessary to meet the real need of employers. Helping colleges buy equipment used in the working world is part of our Open Ontario Plan to strengthen the economy by investing in the skills and knowledge of Ontarians." "We're flattered that the 'peek' inside our classroom would merit this win. The technology will allow more of our school community to 'plug' into the world around them, and bridge our geographical isolation." "Our goal is to make Ontario a leader in online education." Teachers, students and sponsors gathered yesterday to celebrate the launch of the 3rd Annual MindShare Learning Report™ 21st Century National Digital Classroom Video Challenge. The event showcased a state-of-the-art classroom; a webcast connecting last year's contest winners sharing how they meet the needs of today's learners through technology; tips for teachers on how to enter the contest, and a short video presentation. This Request for Qualifications ("RFQ") is an invitation to prospective respondents to qualify in accordance with Part 3 - Evaluation of Submissions for an invitation to participate in a second-stage tender call to provide Garment Design Software for Grades 7 - 12 for use on Windows and Macintosh computers. The Government of Canada today launched a program to help kickstart Canadian businesses by testing their innovative products and services within the Government of Canada before taking them to the marketplace. Best Buy Canada is looking to award $200,000 in technology grants to teachers and students who are passionate about technology in the classroom. Starting Monday, September 13, Canada's fastest growing retailer of consumer electronics will begin accepting entries for its 2010 Best in Class Fund program. Approximately 1.4 million students attend Ontario's 4,000 publicly funded elementary schools. Approximately 700,000 students attend more than 850 publicly funded secondary schools in Ontario. In 2007-08, Ontario's graduation rate increased to 77 per cent. This represents an increase of nine percentage points - or 13,500 more students - compared to 2003-04. More than 15,000 new graduate spaces will be created by 2011-12, an increase of more than 61 per cent since 2002-03. Michael Fullan is Professor Emeritus of the Ontario Institute for Studies in Education of the University of Toronto. Recognized as a worldwide authority on educational reform, Michael is engaged in training, consulting, and evaluating change projects around the world and his books have been published in many languages. Professional learning is a key aspect of leadership development. The resources and links below may help you plan for professional learning, whether it is for you, your school or your board. Student Needs (GSN) as well as other related information for the 2010-11 school year. Nearly 150,000 Grade 7 to 10 math students now have access to live, interactive online math help through the expansion of a pilot project funded by the Ministry of Education. Homework Help is free, real-time math tutoring by certified Ontario teachers. e-Learning Ontario is an essential online resource for the Ontario-funded school system, providing elementary and secondary teachers and learners with the flexibility they need to reach their goals. Through e-Learning Ontario, the Ministry of Education offers participating school boards new ways to teach Ontario's curriculum and help their students succeed. Ontario will welcome international educators from as far away as Australia, Finland, France, Russia, Singapore and the United States for a two-day education summit in Toronto that begins tomorrow. In Math Strategies Junior, students and teachers explore and discover relationships and strategies to understand and solve addition, subtraction, multiplication and division problems through 27 open-ended learning explorations. Over 3500 TDSB students and staff from 220 schools participated in We Day today at the Air Canada Centre to celebrate all of their hard work to achieve positive change around the world. The Copyright Consortium of the Council of Ministers of Education, Canada (CMEC), is appealing the July decision of the Federal Court of Appeal upholding the Copyright Board of Canada's photocopying tariff for K-12 educational institutions. Christian Schneider might seem like a typical adolescent who loves video games and little league baseball, but his top three games will reveal something very interesting about the 12-year-old. The Canadian Education Association (CEA) is pleased to announce the appointment of Ron Canuel as its new CEO. An accomplished leader in public education, Mr. Canuel will strengthen CEA's position as an authority on innovation in teaching and learning in Canada. Knowledge Ontario is pleased to launch an eResources Portal that brings together four KO services and provides instant access to them all. The portal fulfills KO's promise to create barrier-free access to trustworthy digital resources and services for all Ontarians. The Educational Computing Organization of Ontario's 31st Annual conference is fast approaching on Nov. 11 and 12 in Richmond Hill, Ontario. This conference will be of interest to educators, parents, policy makers and those who live and work with the digital learners of the 21st Century! Come and build your professional learning community to help serve our students now and in the future! � Where's the Flock? Find your twitter PLN at our Super Tweetup! directing company partnerships, marketing, product strategy and building the company's global user base. Having created one of the first "social networks" on the web, DiScipio is sourced by the industry as an early pioneer in the field of safe, collaborative education technology and online community building for learners and educators worldwide. An exciting new annual competition which is currently being developed by Ontariogreenspace.ca with the help of an Advisory Board of twelve academic leaders and green building practitioners. The Centre will feature a paediatric HIV clinic, community theatre, and educational centre. Solar and wind energy will be used to power the innovative building, which will also benefit from passive heating, grey-water recycling, and other green technology. Environmental education (EE) is finding new ways to inspire students and the public, while clearing a path toward future sustainability. These top ten innovations offer hope for those who will have to adapt to the new millennium. The city of Vancouver, Cisco and Pulse Energy today at the Shanghai World Expo announced a collaborative relationship designed to accelerate the development of Vancouver's green-energy goals. Architectural masterpiece and symbol of Expo 67, the Biosph�re is a unique and spectacular structure, located in downtown Montr�al, on Sainte-H�l�ne Island's Parc Jean Drapeau. Educational Programs for the 2010-2011 school year. Faronics, a global leader in cost reducing IT solutions and computer power management, announced today the release and immediate availability of Faronics System Profiler, a powerful inventory solution. Exclusive Podcast Interview with Dr Milton Chen, Senior Fellow, The George Lucas Educational Foundation. Milton Chen, Ph.D., has been a leading figure in educational media for more than 20 years. Have worked at George Lucus Educational Foundation (GLEF) for 12 years as executive director, became senior fellow in early 2010, bringing new leadership to its mission of gathering and disseminating the most innovative models of K-12 teaching and learning in the Digital Age. OntarioLearn.com, the Ontario Community College online collaborative system, has registered its 65,000th student. Started in 1995, OntarioLearn.com is a consortium of 22 Ontario Community Colleges servicing the rapidly growing market for online education. The Massachusetts Institute of Technology has announced that it is considering charging for access to online lectures and class notes, which are currently available free on the Web. A team of Canadian journalism students has won a major award in documentary filmmaking for an investigative piece on the way computers and cellphones from the developed world are unsafely disposed of in developing countries. Mark Laprairie and Spoorthy Seenappa might just have what it takes to help launch the next big craze in Microsoft computer technology. Statistics Canada reported this September full-time students in undergraduate programs paid 4.0% more on their tuition fees and graduate students were spiked with a 6.6% increase in 2010/11. The Canadian Council on Learning came out with a recent report suggesting more college and university students are facing higher debts. These two reports paint an unsettling picture of the state of Canadian post secondary students finances. The Canadian Council on Learning is calling for a national post-secondary education (PSE) national strategy from the federal government, I agree we need one. For many students nationwide there is confusion about the financial aid process and lack of awareness or knowledge of available funds and resources. Most importantly there isn't sufficient information about post secondary planning, academic preparation and financing. Many students are working more than 20 hours a week and a large proportion are putting themselves through school and in some cases have dependent children. These post secondary institutions have the most information about financial aid and should be obligated to council all students. These are financial barriers that have lasting effects which includes decades of payments, limited in buying a home and repelling life partners. We present a tractable model for analyzing the relationship between economic growth and the intensive and extensive margins of technology adoption. The "extensive" margin refers to the timing of a country's adoption of a new technology; the "intensive" margin refers to how many units are adopted (for a given size economy). More and more children are playing video games online, but parents don't seem to be taking much notice, according to new research from the Entertainment Software Association of Canada. The Council of Ministers of Education, Canada (CMEC), released extensive data today on Canada's education systems as part of its ongoing commitment to quality education data and research. A new report from the Canadian Council on Learning (CCL) provides an unprecedented look at the future state of adult literacy in Vancouver, Toronto, Ottawa and Montreal, from 2001 through 2031. Working with deaf and hard of hearing students is both a challenge and a passion for Cheryl Rivait. Adding technology to her toolkit has not only helped her deliver curriculum more effectively, it has also engaged her students in ways she did not anticipate. We hit a new stratosphere with our family this past month when it comes to the activities department. With the twins now in high school and three kids playing hockey, one also in dance, our reliance on technology as a communication tool is vital. PDA's are now an essential part of their toolkit, even my wife is now texting! My only wish is that they had a tablet that could be fully loaded with their "digital" textbooks instead of a 25lb plus knapsack that remains a challenge for any kid to lug around. I'm open to solutions and could influence a pilot at their new school! A little trivia about the new Governor General, David Johnston. I rubbed elbows with him literally while playing for the York University faculty hockey team. Governor General Johnston hosted the McGill tournament when he served as principal a number of years back. A former captain of the Harvard hockey team, he proved to be a real gentleman off the ice, despite his sharp elbows. Kudos to Prime Minister Harper for appointing a passionate Canadian, who sees innovation and education as critical factors to our country's future success. Governor General Johnston plays to win both on and off the ice. It was a pleasure to finally connect live and in person with Alberta's Education Minister David Hancock while at the Ontario Premier's Building Blocks on Education conference last month. On that note, Alberta Education has announced that it will continue its Speak Out provincial government-led student forums in the Fall of 2010. Students are encouraged to visit www.speakout.alberta.ca to share ideas through moderated discussion boards. Vancouver based Faronics announced their First Ever Student Programming Competition. It was great to connect with Dennis Boulter, VP sales at the EdNET industry conference in Boston recently. In fact there were some 15 Canadian companies represented, including: ePals, Nelson Learning, CDI Computers, SMART Technologies to name a few. Congratulations to my good friend Vicki Bigham, EdNET Conference, who celebrated 20 years of organizing EdNET. Here's to another 20 years Vicki! You and your team did a stellar job. Congratulations to Paul Weatherhead who shared that he was recently appointed operations manager at Advanced Presentation Products. Canada's EduTech Innovator of the month: B.C. Education and Literacy new BC fb page. Why not close this issue with a thought provoking statement from Bill Gates, "The Internet will displace the traditional university in 5 Years." After today's career panel at York U that I participated in, I believe there's some truth to it. I learned from speaking with students that a typical class lecture draws half the students because of availability of notes and assignments online. Granted the class does fill up for exams. I'm intrigued by this emerging trend as I believe a hybrid or blended model is the future. I hope that Sr. level university administrators are paying attention to the evolving needs of students. So much more to share, however, I'm on deadline. Follow me on twitter to get your daily dose of MindShare Learning news at MindShareLearn. Until next time, walk the digital talk! MindShare Learning Report Publisher, Robert Martellacci and fellow panel members at a the recent Career Conversations Entrepreneurship & Consulting Panel at York University.